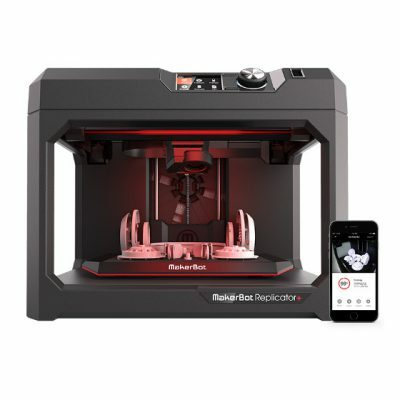 The MakerBot Replicator+ 3D printer has improved performance with lasting reliability, producing great results. Makerbot have re-engineered the Makerbot replicator+ and have carried out over 380,000 hours of testing to give you a faster printer with a 22% larger build volume than it’s predecessor, with known reliability. 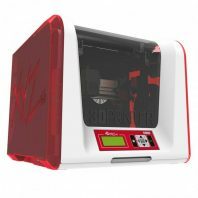 The Makerbot Replicator+ comes with the Smart Extruder+ as standard and the whole printer was redesigned with stiffer materials and a sturdier construction. 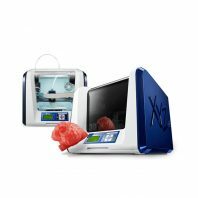 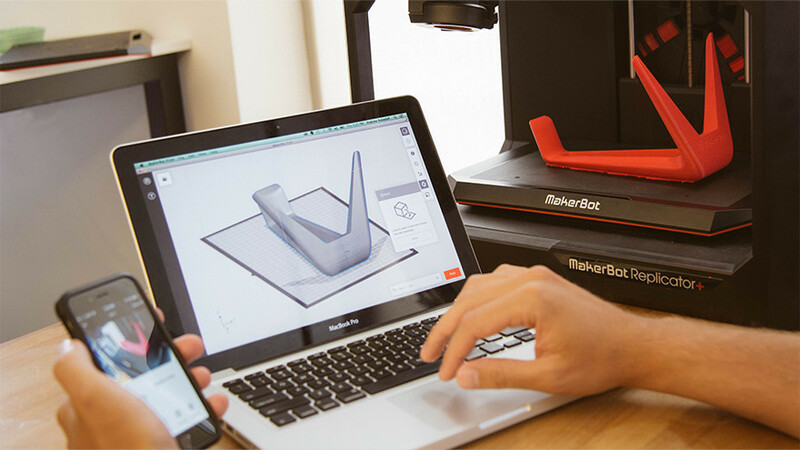 With MakerBot’s powerful workflow tools, the Replicator+ streamlines desktop 3D printing for professionals and educators. MakerBot Print allows you to import native CAD files, like assemblies and parts, remotely manage all connected printers over the Cloud, and optimize prints for speed and quality. Plus, the guided wireless setup from MakerBot Mobile makes getting started easy. 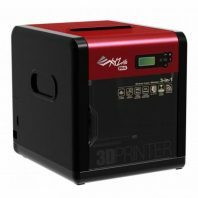 The new Grip Surface makes for better print adhesion so you will get less warping and curling of your 3D prints, no need for masking tape. The build plate is also factory-levelled so your Replicator plus is ready to go right out of the box. 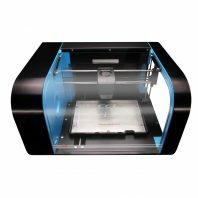 Makerbo t have worked to make the integration of 3D printing in your project workflow as easy as possible. There is a guided wireless set up wizard that can be accessed via the Makerbot Mobile App. 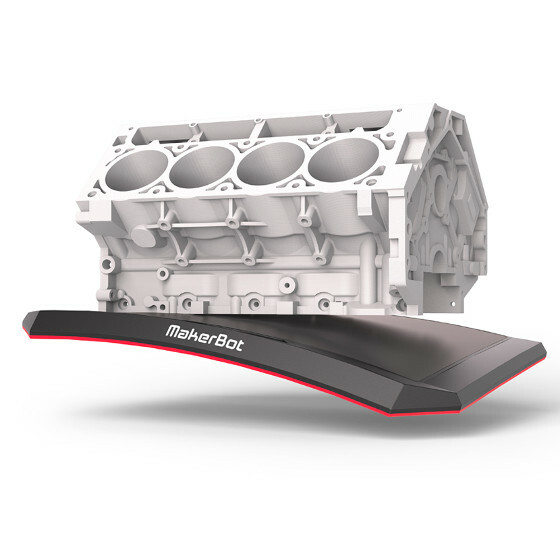 Rather than running lots of different software to manage the production of your prints, Makerbot Print software has native CAD file support, no need to convert .STL files, just design your 3D print, open in Makerbot Print Software and off you go. 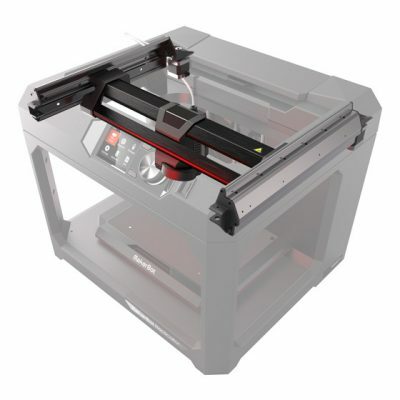 The Software allows you to Auto arrange your models and has a new Print Preview feature. 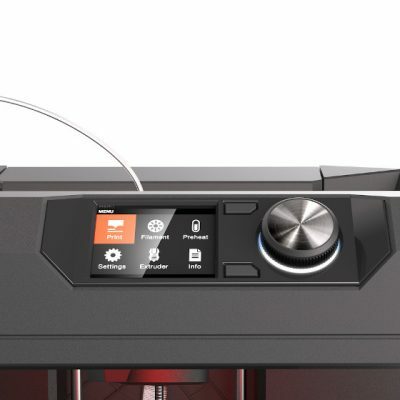 Supports and rafts feature has also be redesigned for improved performance and it has navigation of Thingiverse integrated, making it easier to find those great 3D model files and print seamlessly. 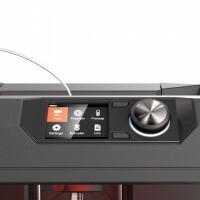 The new Makerbot smart extruder.The smart extruder detects when there is no filament left and automatically pauses the print sending notifications to your Makebot Desktop and mobile apps. 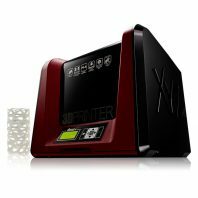 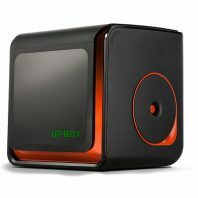 Adding to the Print and go mentality of Makerbot 3D printers it features a built in camera so that yo can monitor your prints remotely, it can automatically take photos of your print and save it to your cloud storage! 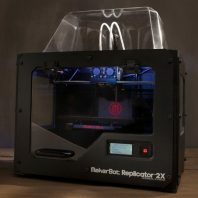 The Makerbot Replicator Plus 3D printer is great for the classroom and the office desktop.